Not a single verified example of a hybrid between a chimpanzee and gorilla has ever been recorded by science - which is why the koolookamba is such a controversial creature of cryptozoology. 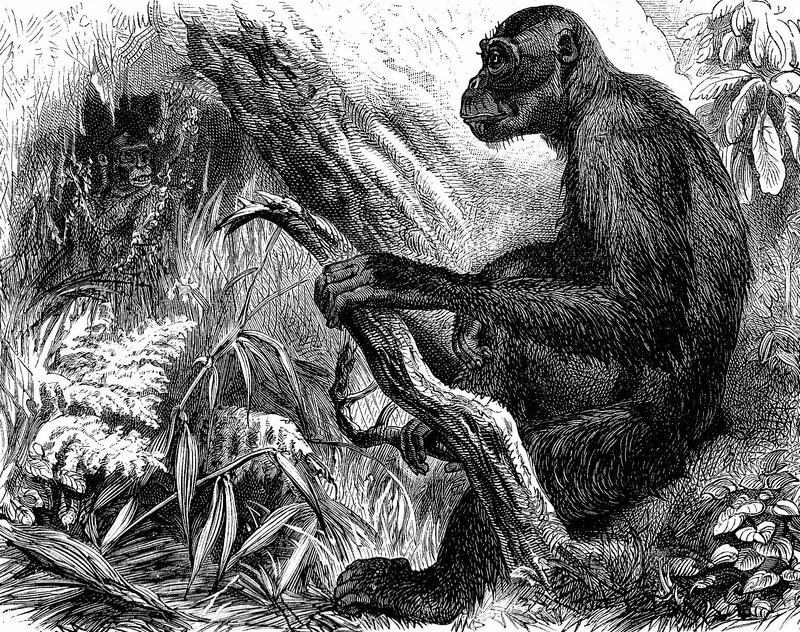 This mystery ape was first brought to European attention by the explorer Paul du Chaillu, who shot what he initially assumed to be a large adult male chimpanzee in Gabon's Ashankolo Mountains during April 1858. However, its head was rounded, as was its bare black face, its eyes were large and set wide apart, it had well-developed eyebrow ridges, a flat nose, and elevated, projecting cheekbones - which are all characteristics more typical of a gorilla (two species of which are recognised today - the western gorilla Gorilla gorilla and the eastern gorilla G. beringei, of which latter species the mountain gorilla is a subspecies, G. b. beringei). Consequently, du Chaillu stated that he considered his specimen to be totally separate from both chimp and gorilla. So too did the local native people - who claimed that this strange type of 'intermediate' ape lived exclusively in the mountains, never inhabiting lowland regions. They even had a special name for it - the koolookamba ('that which speaks 'kooloo''), after its distinctive call, 'kooloo' (and also spelt variously as koolokamba and koolakamba). 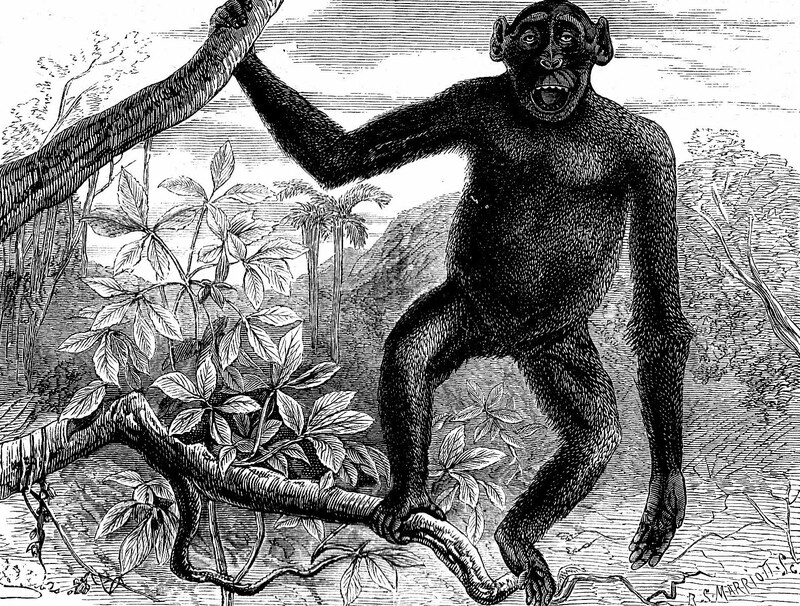 Accordingly, in 1860 du Chaillu formally christened his newly-created species Troglodytes koolokamba - the first of several different scientific names, and identities, that would be applied to this ambiguous ape. 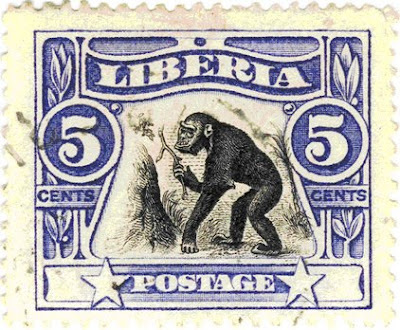 Over the years, a number of other koolookambas have been obtained from Gabon and elsewhere in equatorial West Africa. Some have even been displayed alive in zoos. Perhaps the most famous captive koolookamba was 'Mafuka' (also spelt 'Mafuca' in some sources) - a large aggressive female brought from Gabon's Loango Coast and exhibited at Dresden Zoo in the 1870s. Another fierce individual from the late 1800s was 'Johanna' - displayed at the Barnum Bailey World Show after four years at Lisbon Zoo. In the 1980s, the Holloman Air Force Base's chimpanzee colony at Alamagordo, New Mexico, contained two adult female koolookambas - 'Minnie' and 'Sevim'. In short, it is clear that koolookambas exist. Far less clear, conversely, is their identity - just what is a koolookamba? The complexity of this question is exemplified by the intense deliberation that took place in 19th-Century zoological circles regarding Mafuka's identity. 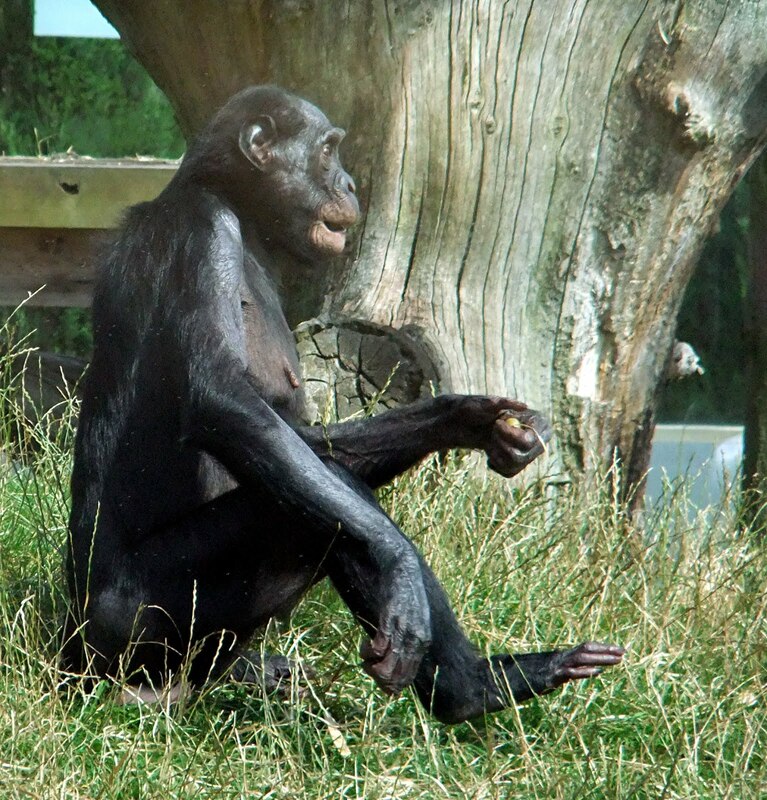 The most conservative school of thought claimed that she was just an unusual chimpanzee. In contrast, some zoologists were persuaded by her heavy brows, fairly small ears, wide nose, and powerful, projecting jaws to classify her as a small gorilla (the confirmed identity of a female koolookamba sent to Basle Zoo in 1967). 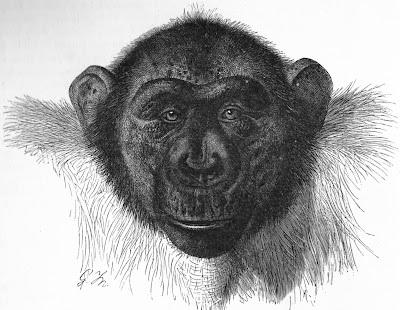 Certain others, echoing du Chaillu, felt sure that she represented a separate third species - one that subtly combined characteristics of chimpanzee with those of gorilla but remained taxonomically distinct from both. Most dramatic (yet most popular) of all, however, was the opinion voiced by zoologist Dr Richard Lydekker among others. 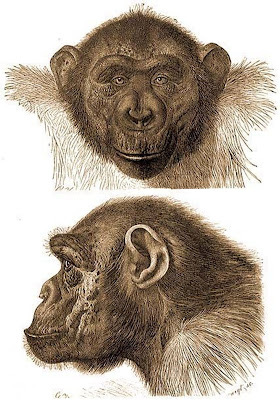 Namely, that her interspecific combination of features showed that Mafuka was actually a crossbreed - resulting from a mating in the wild between a chimpanzee and a gorilla. 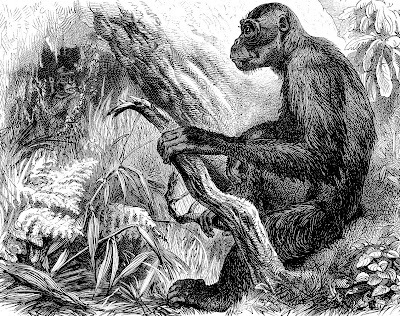 Indeed, in 1881, German game hunter Hugo von Koppenfels alleged that he had positive proof that such hybridisation did occur (and these two ape forms are certainly closely related), but no such proof has ever been accepted by zoologists. The fundamental problem responsible for the dilemma of the koolookamba's true identity is the extraordinary diversity in outward and cranial morphology exhibited by the chimpanzee across its wide geographical distribution. This explains why, by 1919, at least 20 different species of chimpanzee had been distinguished and accepted as valid by some zoologists. These included such distinctively-named forms as the soko (native to the jungles west of Lake Tanganyika) and the nschiego mbouvé (native to Gabon, like the koolookamba). Since the extensive taxonomic researches published by German primatologist Dr Ernst Schwarz during the 1930s, however, only two species have been recognised by most authorities. One of these is the pygmy chimpanzee or bonobo Pan paniscus - yet another identity lately proposed for Mafuka by some researchers (click here for a separate ShukerNature article devoted specifically to the fascinating history of the bonobo). 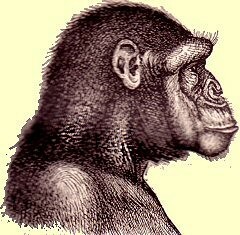 The other is the common chimpanzee Pan troglodytes, which is usually split into four subspecies - P. t. verus (West Africa), P. t. schweinfurthi (Central Africa), P. t. ellioti [=vellerosus] (Nigeria and Cameroon), and P. t. troglodytes (Central West Africa). 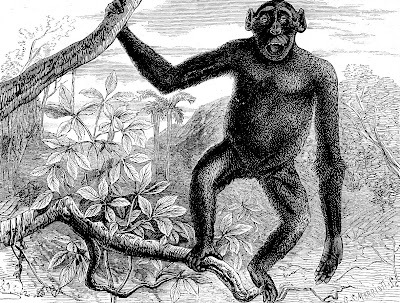 One of several former full species included by Schwarz within the last-mentioned subspecies was the koolookamba - but this was one puzzling primate from the past that would not be laid to rest quite so easily. In 1967, primatologist Professor W.C. Osman Hill reclassified the koolookamba as an additional chimpanzee subspecies in its own right, dubbing it P. t. koolokamba. Nevertheless, many researchers do not support the koolookamba's revived claim to independent status. 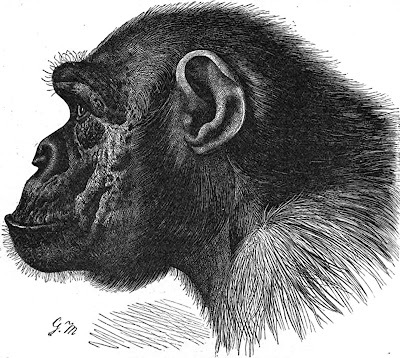 As pointed out by gorilla expert Don Cousins and American anthropologist Dr Brian Shea, individuals displaying the koolookamba's distinctive morphology arise spasmodically in totally separate populations of chimpanzees - thus indicating that the koolookamba is merely the product of a chance assemblage of genes, rather than a segregated form that breeds true. Having said that, there does seem to be a link between koolookamba occurrence and montane habitat. And as its distinguishing features happen to be much the same as those that delineate eastern Africa's mountain gorilla G. beringei beringei from eastern Africa's lowland gorilla G. b. graueri, could the koolookamba therefore constitute an incipient mountain-favouring race of chimpanzee? In the absence of further research (preferably incorporating comparative DNA analyses featuring 'typical' chimps, koolookambas, and gorillas), however, it seems likely that the koolookamba will be monkeying around with zoological opinion for a long time to come! Nor is this anomalous anthropoid the only controversial chimpanzee on record. Others include the Bili ape, the mystery chimpanzee of Yaounde Zoo, the ufiti of Malawi, 'ape-man' Oliver, thumbless chimps, chocolate-coloured chimps, and, most extraordinary of all, the spiny-backed chimpanzee – but these must wait for future ShukerNature posts! 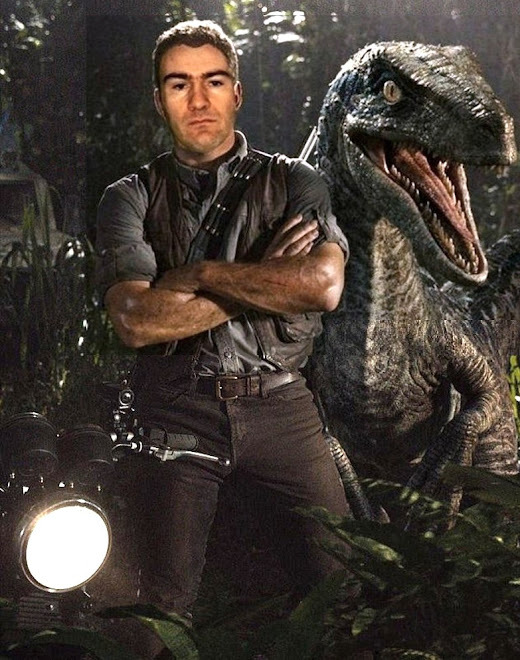 iirc, didn't Oliver turn out to just be a normal chimp? Albeit a really, really creepy-looking one. To be honest, a chimp/gorilla hybrid would be really astonishing, since chimpanzees and humans are more related to each other than either is to the gorillas. I'll be including a detailed ShukerNature account of Oliver, so check back soon, and yes, I agree that a chimp x gorilla hybrid would be extraordinary, but not impossible, genetically. More contentious is whether their behavioural differences would allow a mating to occur in the wild state. In captivity, conversely, especially if facilitated by purposefully rearing a gorilla and chimp together from babies, this behavioural obstacle might be eliminated, particularly if a male chimp and female gorilla were partnered. Yes, Rox, just credit it to me in your book - thanks.